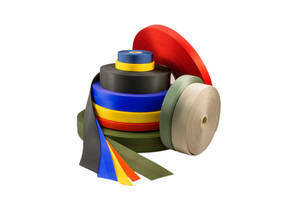 Bally Ribbon’s Safety Webbing and Tapes are made from Nylon, Nomex®, Kevlar®, Vectran®, PBI® and Nextel® fibers. 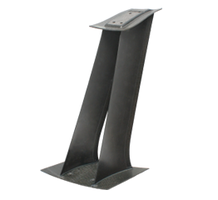 Units are suitable for applications that require high tenacity and abrasion, flame, heat and chemical resistance. Webbing and tapes can be used as shoulder straps, harness welding, chin straps, helmet suspension, binding tapes and lap belts and are suitable for fire, law enforcement, industrial, military, and commercial fall protection personal protective equipment (PPE). 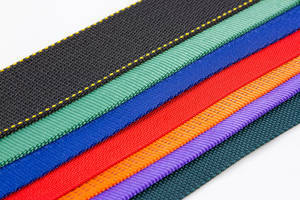 Bally Ribbon Mills (BRM), an industry leader in the design, development, and manufacture of highly specialized engineered woven fabrics, announces its line of safety webbing and tapes, ideal for fire, law enforcement, industrial, military, and commercial fall protection personal protective equipment (PPE). BRM’s safety webbing and tapes meet the demands of applications requiring high temperature, fully engineered safety solutions. They can be used for shoulder straps, harness webbing, and chin straps, as well as helmet suspension, binding tapes, lap belts, and shock absorbing webbing. Made from Nylon, Nomex®, Kevlar®, Vectran®, PBI®, Nextel®, and other specialty fibers, BRM’s safety webbing and tapes are ideal for applications requiring high tenacity, abrasion resistance and flame and heat resistance. They are also a good choice for controlled elongation applications as well as those requiring chemical resistance in specific environments. They offer conductivity, dimensional stability and strength, and can help to reduce weight and size. The materials meet United States (NFPA) requirements for fire fighters’ protective clothing and equipment. 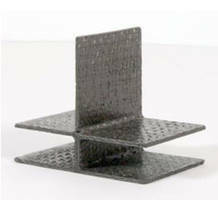 BRM's Webbing Materials are made using multi-dimensional continuous weaving method.